Lyon has earned a place on the UNESCO World Heritage list. Discover France’s oldest ancient ruins, medieval quarters, and fine Renaissance houses in the Vieux Lyon. There is an amazing heritage with secretive districts that have an enchanting Old World character, while the city center emphasizes 19th-century elegance. In a modern building in the heart of the new district, the Lyon campus of IDRAC Business School is just a metro stop away from the historic center of Lyon. The city offers all the aspect of a big metropolitan city with a really convenient location, close to everything. Capital of the gastronomy in France, Lyon is one of the most beloved city in France. The legendary Lyonnais gastronomy can also be enjoyed all over Lyon at “bouchons,” evocative little brasseries. Lyon, with its eclectic mix of neighborhoods and its world-famous cuisine, is one of France’s most vibrant cities. Both cosmopolitan and extremely sporty, Lyon is located a stone’s throw away from the world’s largest ski resorts. 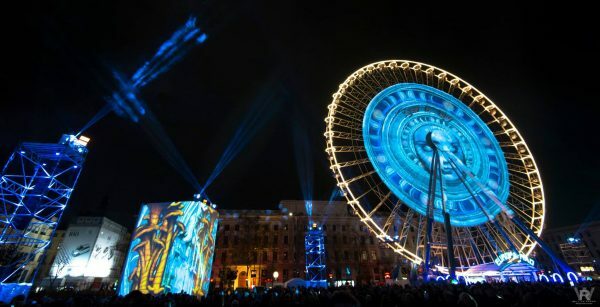 Thanks to its prime location in France’s Rhône-Alpes region, a hotspot for multinationals and small- and medium-sized enterprises and industries, Lyon is home to leading names in everything, from healthcare to optics, metal works to robotics, plastics to chemistry and sports equipment. Boasting some of the largest higher education centers in Europe, anything is possible in Lyon. The city’s world-class infrastructure puts it at an average of just 1.5 hours from most major European cities (Barcelona, Milan, London, Geneva, Berlin, Rome, Madrid, Prague…) by air, road or rail from any of the Lyon’s 3 high-speed rail stations. And with the French Alps, Provence and the Mediterranean just down the road, the city has a lot going for it.